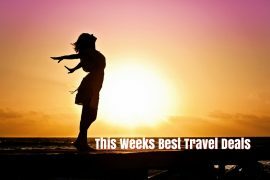 In my best travel deals this week I have all-inclusive in Tenerife from €362, Friday night out in London from €92, luxury for less in Crete and Grenada, a bargain break to Lanzarote in August, a family deal to Salou and an incredible 5* cruise deal. Escape the cold with this amazing deal to sunny Tenerife! Fly from Dublin to Tenerife on the 3rd of February and spend seven nights in the popular Catalonia Punta del Rey hotel, on an all-inclusive basis, for only €362! This hotel receives good reviews on tripadvisor and is incredible value! Price includes flights, transfers, checked baggage, meals and drinks, with NO hidden extras! Dry January? Have a fab February! Book a Friday night out in London from only €92.50! Stay at the popular 4* Copthorne Tara hotel, enjoy cocktails at the hotels W8 bar, dinner at Bubba Gump and a nightlife voucher. Add on flights from your chosen airport. Enjoy luxury for less at the 5* Cretan Royal beach hotel in Crete. Stay at a luxury suite and receive breakfast and evening meal each day for only €479, departing the 13th of May. Price includes flights and hotel for seven nights! Salou is one of the hot spots this year! 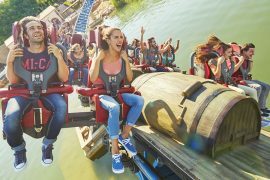 Visit the new Ferrari World at Port Aventura theme park, explore Barcelona or just chill out on the beach! Fly from Dublin to Salou on the 14th of June and enjoy a seven night stay at the highly rated Cye Holiday Centre. Price for 2 adults and 2 children is €1276 or 2 adults and 3 children is €1486 . Use my exclusive code TRAVELEXP10 in the promo code box to save 10% off the accommodation cost. Prices include flights, accommodation and transfers. Enjoy some sunshine in the island of Lanzarote this August. Fly from Dublin on the 15th of August and spend seven nights in the ‘adults only’ Panorama apartments in Puerto del Carmen, for only €399 per person. Price includes flights and accommodation – amazing value for August! This is your opportunity to cruise on one of the worlds most luxurious cruise ships! Fly from Dublin to Rome on the 9th of October and cruise for eleven nights on the 5* Celebrity Reflection. Visit Italy, France and Spain, for only €1,199 per person including return flights! Explore the Caribbean island of Grenada this summer. Fly from Dublin during May or June and enjoy a seven night all-inclusive stay at the highly rated Grenadian by Rex Resorts for only €1259 per person. 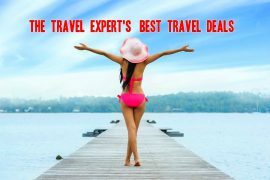 All of my best travel deals prices are correct at time of issue but are subject to change.